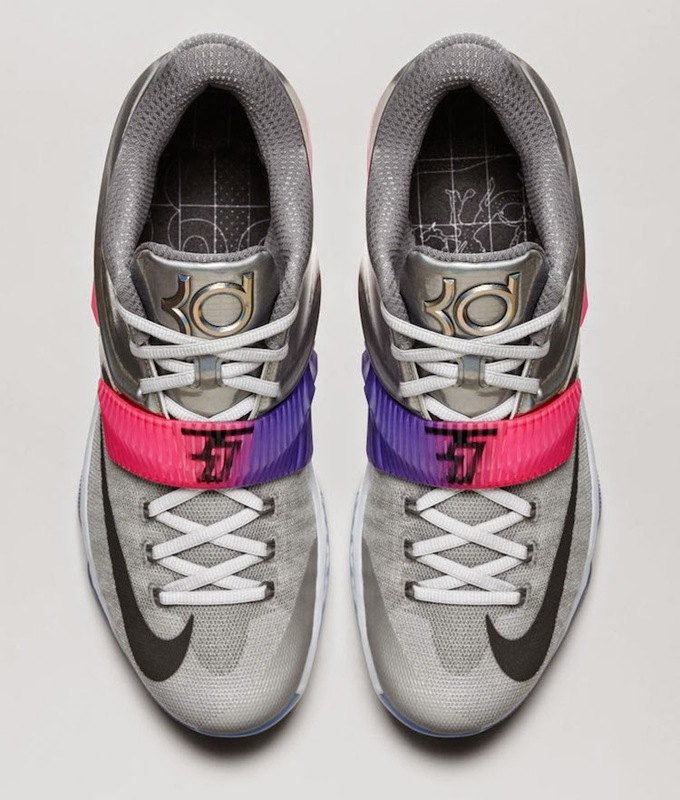 With All-Star happening next month, brands are starting to release some pics of their kicks decked out for the NBA 2015 All-Star games. 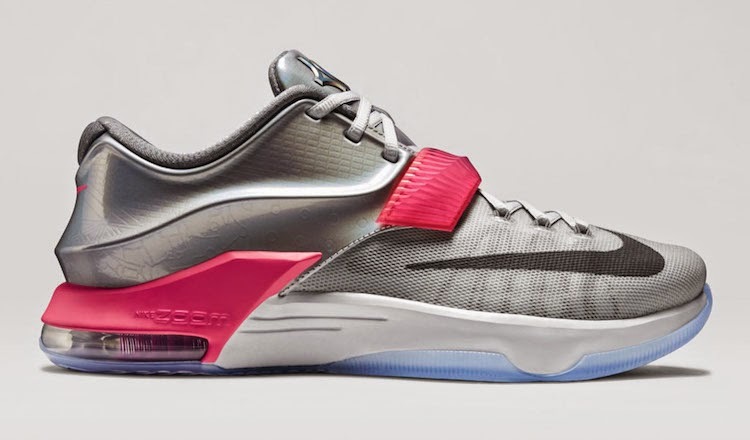 Here is an image of the KD 7 All-Star. 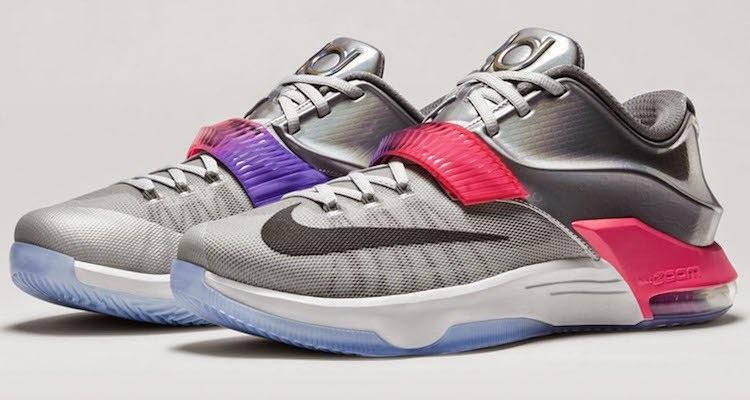 Having a platinum color upper, the shoe has a clean look. 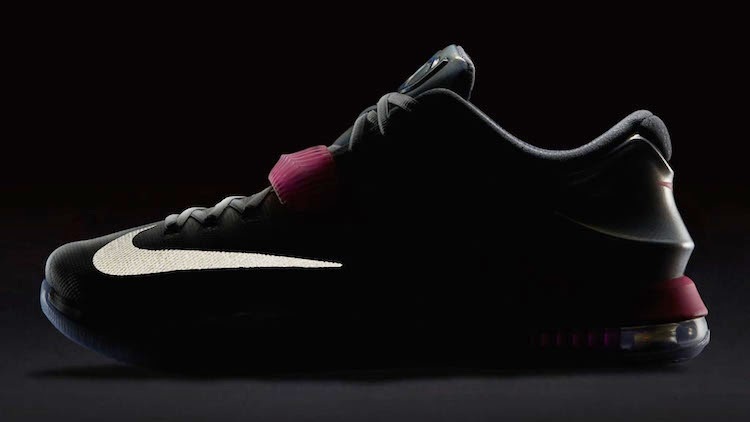 The black color on the swoosh branding in the forefoot adds a little contrast to it. 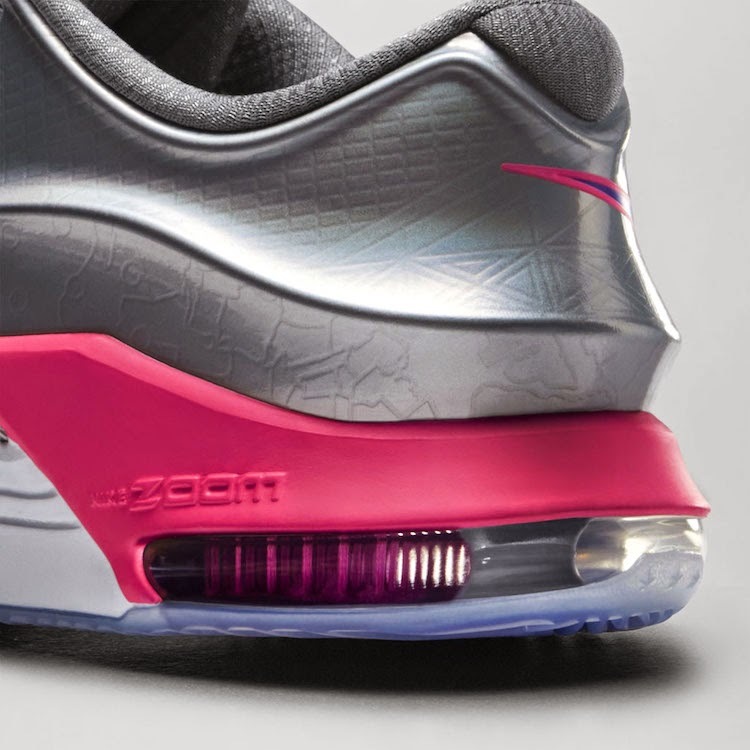 What makes the shoe not look too bland is the addition of purplish and pink hits on the midfoot strap as well as on the max zoom airbag. 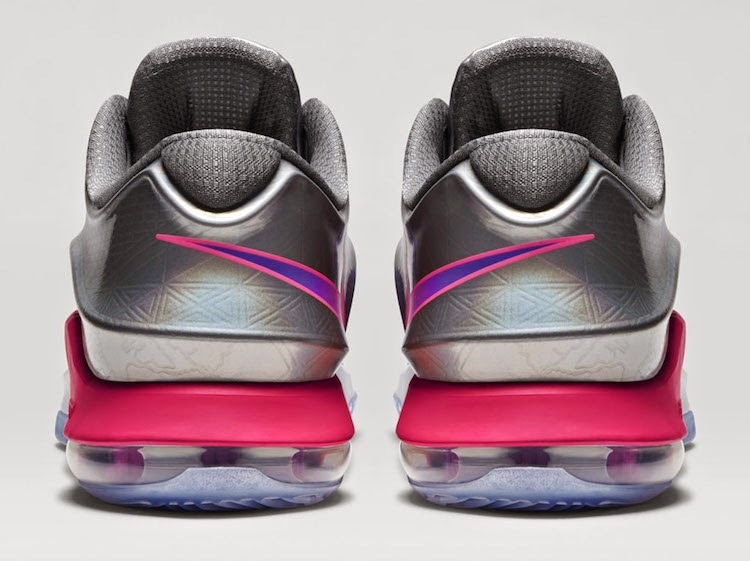 The translucent outsole is a good choice also to use with that platinum color upper giving it a more clean and premium look. 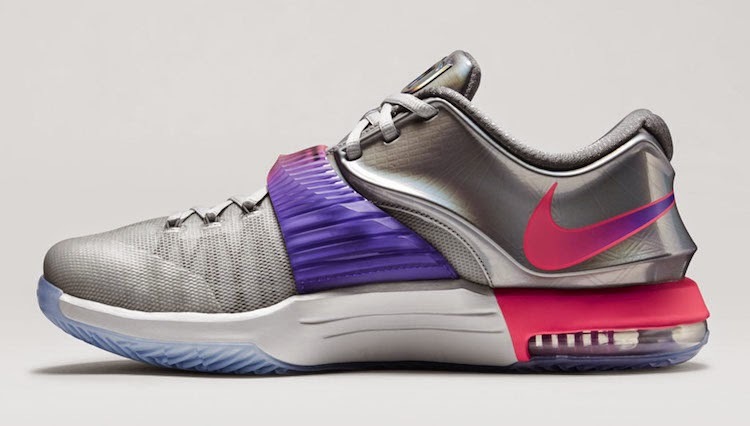 The shoe will release on February 13 tagged at $170.